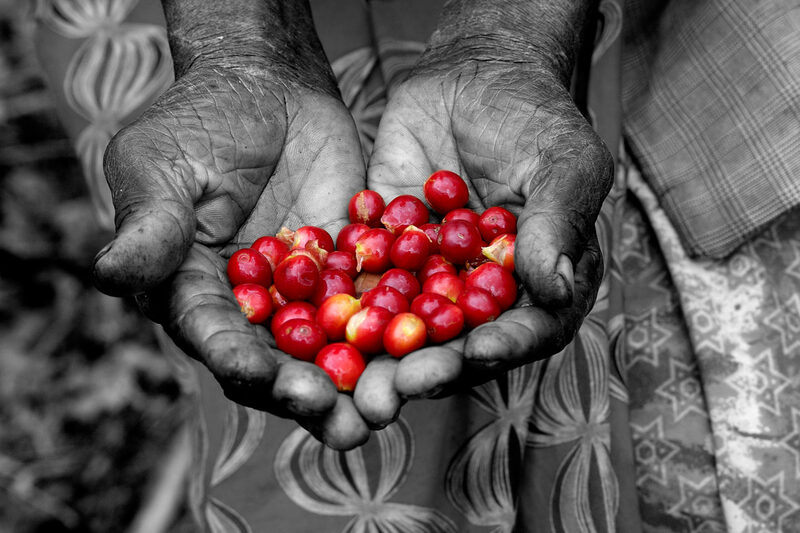 Take a step back in time to learn and taste coffee picked, washed, roasted and ground by hand. The Azizi Life Experience morning begins with a drive to a nearby village, where you and your Azizi Life facilitator will be welcomed by the ladies of the cooperative. After introductions from your hostess, you help out in the kitchen to get lunch underway. Then it is off to the field to check on the coffee plants and harvest some of the cherries. Once collected, the cherries will need to be washed before removing the pulp, so its off down into the valley to collect the water. At noontime, you’ll share a simple local meal with your host family, with plenty of time to chat and learn about each other’s lives. After lunch, its time to roast, grind and sieve the beans, before they can be turned into the perfect cup of traditional Rwandan coffee. You will love working with the ladies as you work, and we can assure you will also be laughing together. 08.30 Welcome & Introduction at the Azizi Life office in Muhanga. 09.00 Arrive in your rural host community. 09.05 Go to the family home of your host, share introductions, and add a bit of local dress to your attire. 09.20 Help with preparation of your lunchtime meal. 09.45 Go to coffee fields for weeding and harvesting of the coffee cherries. 11.10 Wash and pulp coffee beans and lay those out to dry in the sun. 13.30 Hand roast and grind dried coffee beans using traditional tools. Once ground, the coffee is sieved to get the fine grounds to use for your cup of coffee. 14.30 Prepare your own cup of traditional Rwandan coffee, and enjoy sharing a coffee break with your hosts. 15.45 Arrive back at Azizi Life Muhanga to share a Fanta (or more of your coffee) and take the opportunity to reflect on your Experience. 16:00 Finally, there will be opportunity to peruse all of the beautiful, handcrafted goods on offer from our artisan partners- including your hostesses! This is a wonderful way to gather gifts and souvenirs which you can be confident are fair trade and making an impact.